This is great news because it suggests that a vaccine can be manufactured that through multiple applications will confer real immunity. There are presently convincing strategies out there able to slash populations of the mosquito but there will always remain reservoirs of infection waiting to bite. Thus those who must accept exposure do need a true immunization protocol. Otherwise I am growing optimistic that the various strategies presently been implemented particularly including simple nets will succeed in driving this scourge out of humanities life way. We have continued to note continued and expanding progress over the past five years of this blog. Scientists in Australia say they’ve made a breakthrough in the fight against malaria by uncovering a key protein in people who have developed an immunity to the disease. Researchers at Melbourne’s Burnet Institute analyzed the antibodies of adults and children in Kenya who had become immune over time to the parasite, carried by mosquitoes. James Beeson, head of the institute’s Centre for Immunology and senior author of the study, said his team examined a key malaria protein called PfEMP1. “The puzzle has been, what is the key point of attack of the immune system against malaria? We’ve established that one particular protein of malaria is the key point of attack of the immune system,” said Beeson. Scientists discovered certain Kenyans had developed an immunity to that protein, which means the protein could be a target for a future vaccine. Specifically, the team studied children between ages of one and 10, as well as adults, and the number of times they had gotten malaria. The more times they had suffered the disease, which causes up to a million deaths year, the more antibodies they had. Beeson said new research will focus on developing a vaccine to induce that immune response to the protein. Malaria is caused by a parasite called plasmodium, which is transmitted through the bites of infected mosquitoes. 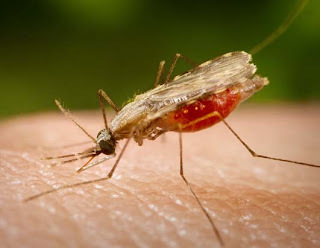 Symptoms of malaria include fever, headache and vomiting, and usually appear between 10 and 15 days after the bite. When untreated, malaria can quickly become life-threatening by disrupting the blood supply to vital organs. The study, published in the Journal of Clinical Investigation, also involved research by University of Melbourne and the Kenya Medical Research Institute.